Private landowners keep minimal development as a priority while finding avenues to make idyllic large properties pay their own way. Tara and Twelve Oaks and even Green Acres come at a price way beyond what their owners paid for them. All large-property owners know that steep maintenance costs follow the purchase price as a huge devourer of financial resources - and if the property owner is conservation minded, maintenance costs rise even higher. The solution to the maintenance drain for many private-property owners? Making their acreage support itself, with a look to honoring history and conserving their properties in perpetuity at the same time. 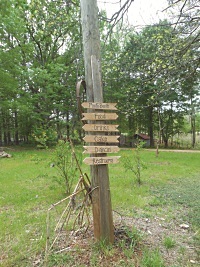 The owners of Wavering Place Plantation in lower Richland County and Magnolia Farm Lodge in Ridgeway have embraced just such a solution. 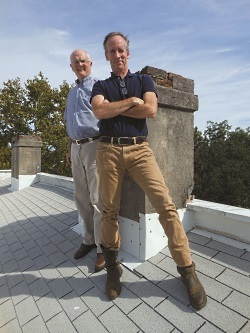 There's a centuries-old tradition of respect for the land in the family of Robert and Weston Adams, brothers and joint owners of Wavering Place. As Weston Adams explains, "The Adamses owned thousands of acres of what is now Congaree National Park, and we still own a mile-long sliver of Cedar Creek, the largest tributary into the park. Drawing a line from Joel Adams, who first acquired Wavering Place in 1768, to E.C.L. 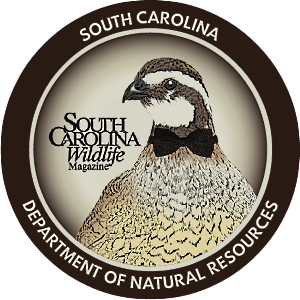 Adams and what he did to start the Audubon Society in South Carolina, on down to what Robert and I and our Uncle Julian have been doing at Wavering Place more recently, there's a long line of conservation-minded Wavering Place owners who have stewarded all that swampland." According to the Adams brothers, who count South Carolina Governor James Hopkins Adams (1812-1861) in their family tree, Joel Adams was the family's fortune maker. An indigo planter in the 18th century, Joel served with Francis Marion during the Revolutionary War. When he died, he left to his children seven or eight plantations in lower Richland County, including Wavering Place, which Robert and Weston bought from their uncle, Dr. Julian Calhoun Adams, in 2013. 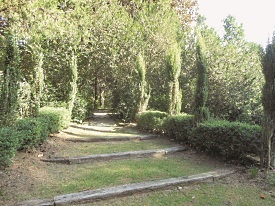 Several nearby plantations remain in the hands of the Adamses, Weston, Hopkins and Hayne cousins. "The property's plantation house, which dates from about 1850 and replaced the first big house, is probably the best example of Greek Revival architecture in the area," says Weston. "Each floor has four big rooms and a central hallway. The wainscoted walls in the living room and library are made of sycamore harvested from the plantation and were once varnished black. We helped our uncle strip off all the varnish about twenty years ago and return the wall to what it looked like originally. Except for new heating and AC, the house looks much the same as when it was built." 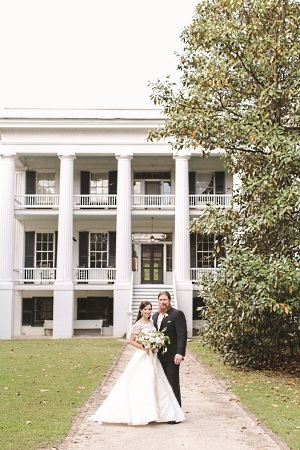 To keep up the 450-acre plantation, Robert and Weston Adams knew they would need at least one revenue stream, which they decided to create by putting Wavering Place to use as an events venue. Among other things, they renovated the big house's basement kitchen into a catering prep kitchen and the historic kitchen outbuilding into a country-getaway cottage or bridal suite, both sites suitable for use during events. A fairly new renovation project, the kitchen outbuilding is a 1790 yellow-brick structure - all the bricks on the plantation were made on-site from Congaree River mud - and it was used as a doctor's office at one time. During the Great Depression, Adams Hayne and his son Ike Hayne, both physicians, ran a clinic for the area on weekends. They'd set up shop on Saturday morning, and anybody who needed to see the doctor could pay a call. 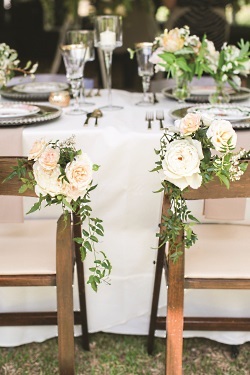 Today, 21st-century brides pay calls and find the renovated kitchen outbuilding perfect as a dressing space for their own and their bridesmaids' needs, while grooms and groomsmen claim a freshly decorated room in the big house for their use on the big day. Weddings bring in the heftiest slice of income for Wavering Place, but the gardens, lawns and fields surrounding the house serve as a backdrop for more than just weddings - the property also hosts oyster roasts, barbeques, family reunions and other events. As a secondary income stream, photo shoots play a part in standing Wavering Place on its own financial feet. Robert enlarges on the theme: "Wavering Place is a great setting for engagement and wedding portraits, even if you're not getting married here. These shoots have become a pretty regular business for us. On a much smaller scale, the kitchen outbuilding as a bed-and-breakfast is income stream number three." What of conservation easements as a way of assisting landowners with maintenance costs through tax breaks? 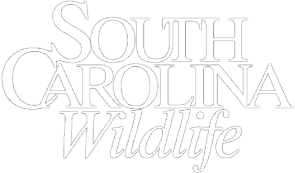 As former chair of the South Carolina Conservation Bank board and a former member of the Congaree Land Trust, Weston Adams knows of what he speaks when he says that a conservation easement - a binding, perpetual legal agreement that restricts the amount of development that can ever be done on a given piece of property - cannot be looked to as the sole financial solution for maintaining a large property. "You give up the right to develop the property," says Weston, "and in exchange for that, you get some tax [advantages] for a few years. That's not why most landowners do the deal, because easements don't make sense as a financial investment. Landowners place easements because they love the property and want it to retain its pastoral look always." Weston adds that when the first person does an easement in an area, surrounding landowners may worry that all area property will be devalued by the easement owner's restricted development rights. But if a critical mass of people create easements - and this is happening in the ACE Basin, Weston says - then thirty years later, the ultimate value of that property is so enhanced by the fact that there are several hundred thousand acres of preserved property together, that the property can eventually be worth much more for leisure purposes than it ever would have been for development. 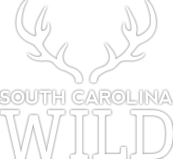 Clearly, the payoff for conservation easements is a long term proposition, but Robert and Weston Adams find an immediate payoff in the pleasure of hunting their land, fishing one of their Carolina bays, walking their river-bottom land at Cedar Creek and seeing other people appreciate what they've worked so diligently to preserve, restore and protect. At Magnolia Farm Lodge in Ridgeway, owner Thomas Brice "Tom" Hall is working, as the Adams brothers once did, toward placing a conservation easement on his property, made up of about one hundred acres of Fairfield County's best. He has encouraged his neighbors to do the same. Meanwhile, he cares for the property as if it were already under an easement. Hall is laid back, like his rustically appealing property. "This place is purely who I am," he avers, "a reflection of a passion for the outdoors I've had since I was growing up on my parents' farm and going quail hunting with the guys who sharecropped that farm. I've always enjoyed Tennessee walking horses and wanted to get back into bird dogs. When this property in Ridgeway became available - Ridgeway is an incredible town, and the Civil War history of this property is so special - it was a great opportunity to buy a piece of land that suited my needs." A man with a heart for kids and education, Hall wanted to have some kind of outdoor school at Magnolia Farm Lodge, and he got it in two forms: the weekday Barclay School for special-needs children, housed in the property's porticoed country home, and the weekend Magnolia Outdoor School for both kids and adults. Over the weekend, Hall might sponsor a whole-cow roast, with nature walks, camping, arts and crafts, band performances and demonstrations of old-fashioned farm skills as attractions. Some guests might set up an easel in the field or by the creek to paint whatever nature presents on that day; others might craft pottery or relax in a lawn chair while listening to live music. Hall has learned how to make the most of these events so that they deliver a great experience to guests, as well as better profits for him. "You've got to think smart," he says. "A good example is a pig. You can do two things with a pig. You can feed him corn every day, take him to a processor and sell the meat at a store for about five hundred dollars. Or you can take that three-hundred-pound pig, [prepare it] on-site then feed as many as 150 people at twenty dollars per plate. That's three thousand dollars. You have to do that to make money, and you have to understand marketing, people, demographics, Facebook, everything that will make people want to come to [experience] that kind of thing." For Hall, big plans are afoot to use the farm's dairy goats to make cheese on a much larger scale than heretofore. Up to now, he and his helpers have made it just for themselves, but next year goat cheese will be the anchor of Hall's business model for generating revenue on the farm side. He aims to get his cheese in restaurants all over the state. And that's not all he has in mind for turning a worthwhile profit. Hall enthuses, "My ultimate goal with this place - end of the day - I want to have the greatest restaurant in the world, and I want it to represent Fairfield County and the Midlands of South Carolina. With the sustainable idea, I want to have the hogs, the cows, the coffee. I want to fix a meal where every single thing you eat comes off this farm." Of course, landowners have other possibilities for creating income streams besides the options selected by Tom Hall or Robert and Weston Adams. For some, paid hunts and fee fishing work well, while for others, selling plantation-produced canned goods and fresh produce, either at their own farm markets or from their "U-Pick" fields, raises the needful support. "I love it at the farm," reflects Hall. "I'd rather be out here with a chain saw and a swing blade and a horse, working hard all day, than anywhere else. What sustains us is the baseline of beauty out here. It's a beautiful piece of property, and our efforts at grooming it to bring it to its full potential are rewarding in themselves." But Hall, like the Adams brothers, still has to make his place a profitable enterprise in order to make keeping it a workable goal. All three men gladly work steadily at it, because their properties hold value to them from several perspectives: family connections; financial investment; historic importance; and a desire to preserve, enjoy and share a magnificent piece of property. It's a mission. Columbia-based freelance writer Rosanne McDowell also serves as resolution writer for the South Carolina Legislative Council.